Whenever we think of volleyball, the skills like passing, setting, spiking, and blocking come to our mind. The exponents of the game have entertained millions. Here, we take a closer look at some of the top-class volleyball players of all time. 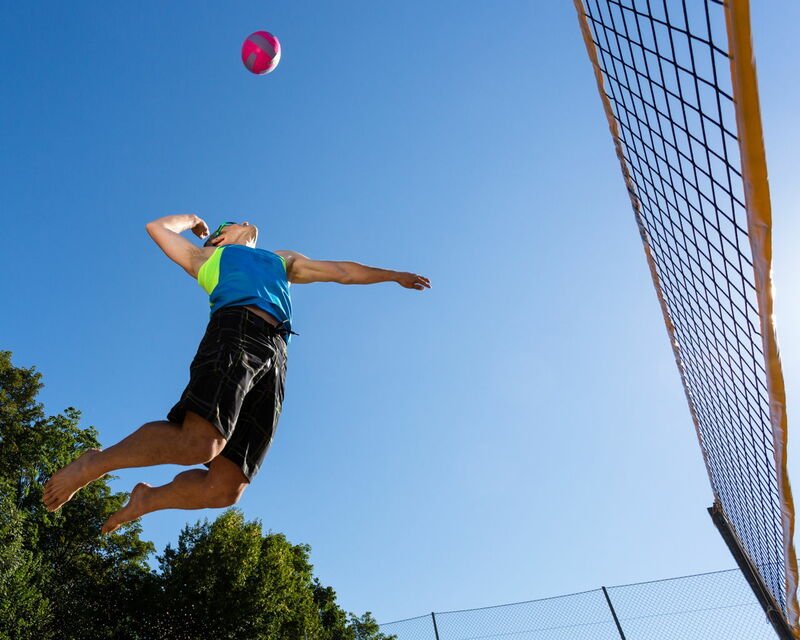 Volleyball is a sport that is widely played across the world. It originated in 1895, when William G. Morgan, a YMCA physical education director, introduced a new sport called Mintonette, which was a combination of tennis and handball. 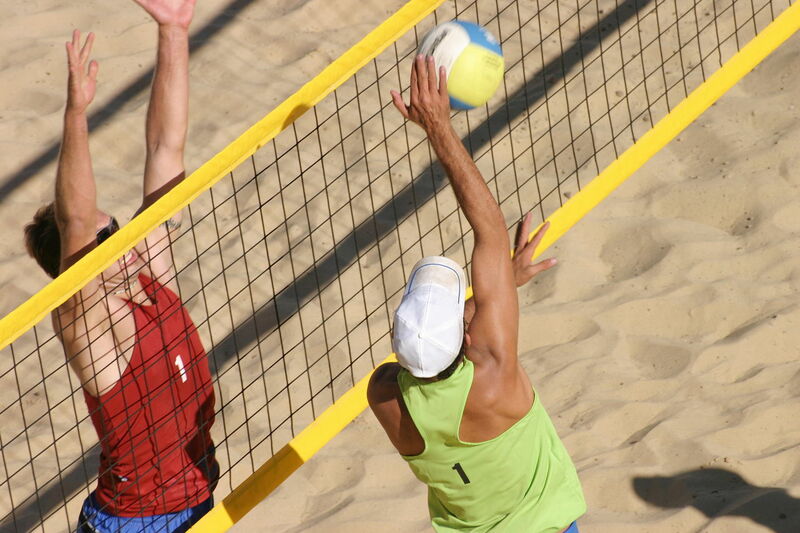 Volleyball became an Olympic sport in 1964, and has since become a mainstay at these games. It is indeed a sport which gives entertainment and fitness. There have been some legendary personalities to have played this game. Through their sheer talent and agility, they have set a benchmark for others to follow. Here are the top players belonging to this game. Charles Frederick "Karch" Kiraly is an American volleyball player who was born in Jackson, Michigan. He is the only player in the history of the sport, to have won Olympic gold medals in both the indoor volleyball and the beach version of it. Kiraly is popularly known as "Thunderball in Volleyball", because of his ability as an outside hitter. At present, he is serving as the assistant coach of the women's Olympic Volleyball team of US, in the 2012 London Olympics. Logan Maile Lei Tom is an American volleyball player, plying her trade in both versions of the sport. She was instrumental in the podium finish of Team U.S.A. at the 2008 Beijing Olympics. The team won a silver medal in this Olympics, and Logan was awarded the Best Scorer title. Apart from this, she won many accolades in the form of "Most Valuable Player", "Best Server", and "Best Receiver" titles. Currently, she appears as an online instructor through various interactive videos. Misty Elizabeth May-Treanor is an American professional beach volleyball player, born in Los Angeles, California. Misty May-Treanor and partner Kerri Walsh won the gold medal at the 2004 Athens Summer Olympics. This pair repeated their stellar performances to secure yet another Olympic gold in the 2008 Beijing Olympics. Misty May was the AVP Most Valuable Player in 2005, 2006, and 2007. Misty May-Treanor and Walsh are competing in the 2012 London Olympics. Kerri Lee Walsh-Jennings is a professional beach volleyball player, born in San Jose, California. Walsh is 6' 2" tall and weighs 70 kg. Kerri debuted in 2001. Kerri and Misty May-Treanor had a record of 38-0 during their first year on the AVP Tour, winning every domestic tournament in which they competed. She won the MVP in the 2003 and 2004 AVP tours. Walsh won gold medals in beach volleyball in the 2004 and 2008 Olympics, respectively. 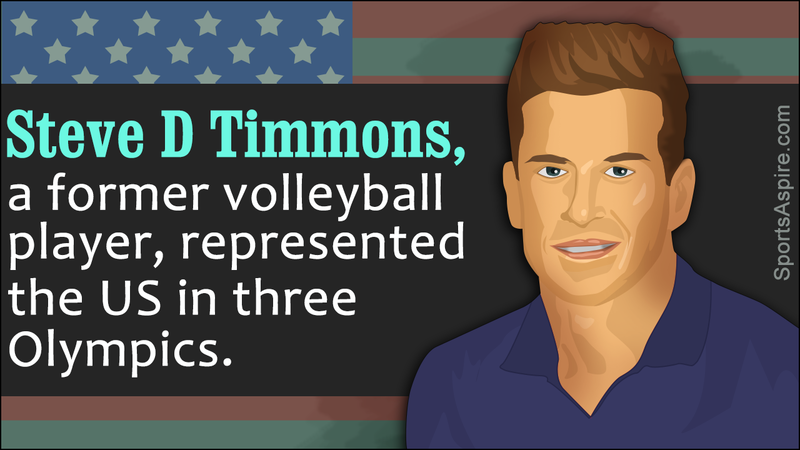 Steve Dennis Timmons is a former volleyball player, who represented the US in three Olympics. He was born in Newport Beach, California, and played his high school volleyball at the Newport Harbor High School. Steve won two Olympic gold medals (in 1984 and 1988), and an Olympic bronze medal in the 1992 games. He is married to actress Debbe Dunning, who played Heidi in the Television series Home Improvement. Paula Jo Weishoff is a former volleyball player, who has represented the US National Women's Team in the Olympics, and has subsequently won two Olympic medals - silver in 1984 and bronze in 1992. She was born in Hollywood, California, and made her US national team debut in 1981. She has the distinction of being a three-time Olympian. In 1992, Weishoff was named 'Most Valuable Player' of the Olympic Games. Paula was inducted into the U.S. Volleyball Hall of Fame in 1998. 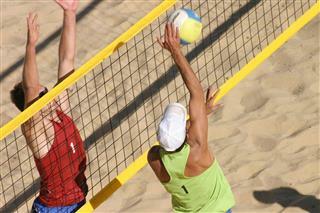 Ron Von Hagen is a former professional beach volleyball player, who represented the US National Men's Team. He was arguably one of the first to introduce weight training into the exercise regime. He was exceptional in defense, and could run down the bad passes and digs. Ron is popular for his strength and determination, which always helped him secure one of the top three positions, in every tournament he participated. Flora ("Flo") Jean Hyman was an American Volleyball player and a legend of the game, who was born in Inglewood, California. Hyman was always the tallest girl in her academic career, which sometimes made her conscious. The specialty of Hyman was her "Flying Clutchman" - a fast, hard-impacting volleyball spike that travels at 110 mph. Sadly, she died on January 24, 1986, during a match, due to Marfan syndrome, which was not diagnosed earlier, in spite of the symptoms like her unusual height of 6' 5". Lorenzo Bernardi is an Italian volleyball player, who was born in Trento. He is an Olympic silver medalist with the Italian national volleyball team in the 1996 games. Also, he is a two-time World Champion with the national team, in 1990 and 1994. Perhaps, the high point of his career would be in 2001, when he was elected as the Volleyball Player of the Century by FIVB (Fédération Internationale de Volleyball), the governing body of volleyball. Magaly Carvajal is a Cuban volleyball player, who is regarded as the greatest middle blocker ever to grace this sport. She is also an Olympic and World champion. In the 1992 and 1996 Olympic games, her skills came to the fore, and led Cuba to secure gold medals in both the games. Her height of 6' 3" makes her an ideal blocker. She is known to intimidate her opponents with a deadly scare, that was termed by her peers as the look of death. Hugo Néstor Conte is a retired volleyball player of Argentina, who was born in Buenos Aires. He was an integral part of the team, which won the bronze medal in the 1988 Olympics. Hugo has popularized the sport in his native country, ever since his debut. He was identified by his famous 'number 7 jersey' and signature beard. His son, Facundo Conte, also represents the Argentina national team, and is representing the nation at the 2012 London Olympics. Rita Louise Crockett is a retired American volleyball player, who was instrumental in securing the Olympic silver medal for the Women's national team in 1984. She is widely regarded as the best all-round volleyball player in the world. Apart from her commitments to the national team, Rita also had long stints in professional volleyball - in Italy, Japan, and Switzerland. After having retired from professional volleyball, she coached the state teams, and in 2005, she established her academy named, Rita Crockett Academy. Vladimir "Vanja" Grbić is a retired Serbian volleyball player, born in Klek, SR Serbia, SFR Yugoslavia. He is widely regarded as the best sportsperson the Serbian nation has ever produced. Vladimir was a key figure of the Serbian national team that won an Olympic bronze medal in 1996, and a gold medal in the 2000 Olympic games. This feat fetched him the title of the best sportsperson of the year in 1996 and 2000. He announced his retirement from the sport in the summer of 2009. Christopher St. John ("Sinjin") Smith is a professional beach volleyball player, who has won a U.S. championship and two World championships with partner Randy Stoklos. He was born in Santa Monica, California. His role in the team as a setter was applauded by the pundits of the game, and he was also pivotal in the growth and development of beach volleyball. In the 1980s, he partnered with Karch Kiraly, but they had to split up after a while, as Kiraly had to focus on the National Olympic Team. Later on, he formed a formidable partnership with Randy Stoklos, which resulted in them being called the kings of beach volleyball. Regla Torres Herrera is the famous Cuban volleyball player, who achieved the unprecedented feat of leading the Olympic National Women's Team to three consecutive gold medals - in 1992, 1996, and 2000. She was born in Havana, and started her Olympic journey at the age of 17. She was also a member of the team, that won the Olympic bronze medal in 2004. Due to her stellar performances, she was awarded the Best Player of the 20th Century and was subsequently inducted into the Volleyball Hall of Fame. Gilberto Amauri de Godoy Filho, known as Giba, is a Brazilian volleyball player, who played a part in the Brazilian Olympic national team's successful 2004 Olympic campaign, which secured them a gold medal. Also, in the 2008 Beijing Olympics, Giba helped the Brazilian national team to secure a silver medal. He is widely regarded as one of the best wing spikers or attackers in the world. He has gone through a plethora of adversities and challenges in his life, wherein he suffered from leukemia when he was a baby, injured his arm severely in childhood, and was also suspended in 2002 for a while, when he tested positive for a banned drug. Andrea Giani is a retired professional volleyball player, who won three World Championship titles with the Italian national team. He was born in Naples, and is well-known for his technical and jumping abilities. He was a key figure in the Olympic volleyball team of Italy in 1996, 2000, and 2004, where they won two silver medals, and a bronze medal, respectively. He is currently the coach of Cimone Modena, after having ended his professional volleyball career in 2008. Ivan Miljković is a Serbian volleyball player, considered by many, as one of the best outside hitters of the contemporary game. He was a part of the Yugoslav national team, that won Olympic gold medal in 2000. Later on, he went on to represent the Serbian national in the 2004 and 2008 Olympic games. In 2002, FIVB selected Ivan as the Most Valuable Player. He has recently retired from the Serbian national team in March 2012. Inna Valerievna Ryskal is a retired volleyball player of Russia, who represented the Soviet Union or the USSR national team. She was born in Baku and went on to become one of the iconic figures of volleyball. She won the Olympic gold medals in 1968 and 1972, with the USSR national team. Also, she was a part of the team that won two Olympic silver medals - in 1964 and 1976, respectively. As a result of her invaluable contribution to sports in the nation, the USSR government awarded her the Order of the Red Banner of Labor, in 1972. Katsutoshi Nekoda was a Japanese volleyball player, born in Hiroshima. His magic hands ensured Japan, a gold medal at the 1972 Munich Olympics. Prior to that, he was a part of the 1964 and 1968 Olympic teams, that won the bronze and silver medal, respectively. He retired from professional volleyball in 1980, and in 1983, he passed away due to stomach cancer, at a young age of 39. This sport has seen quite a few modifications, since its inception, and has resulted in the steady growth of the popularity of this sport. Be it the indoor version of the sport or the beach version, fans are always glued to the matches, due to the explosively fast nature of the game. Let's not forget that the players like the ones mentioned above, make this sport worth watching and glittering, with their classy moves and tricks.